The survey is out. Unfortunately, I have some discouraging results to share. Despite the amount of education provided, the campaigns, the warnings, the all-natural foods, the grain free diets, and all kinds of other diet fads, pet overweight is more and more common, year after year. The results of a recent survey showed that 60% of our cats and 56% of our dogs were overweight in 2017. These results are provided by the Association for Pet Obesity Prevention (APOP) (www.PetObesityPrevention.org), a non-profit created by my colleague Dr. Ernie Ward in 2005 (full disclosure: I’m a member of the board – only because I am passionate about this topic. Oh, and because I wrote a book about it. More info below).
. puts unnecessary strain on the joints.
. increases the risk of heart disease.
. increases the risk of diabetes.
. increases the risk of some tumors and cancers.
. increases the risk of many other preventable diseases.
. dramatically decreases your pet’s quality of life.
. reduces a dog’s lifespan by an average of 2 years!!! Over 50 % of those surveyed (veterinary professionals and pet owners) were interested in weight loss in their pets or patients, but did not achieve results due to various reasons. Those reasons included time constraints, physical limitations (of the pet or the owner), behavior issues or limited access to exercise areas. There was a great disparity amongst the opinion of veterinarians and pet owners about what ingredients are good for pets. Veterinarians predominately agreed that corn was an acceptable ingredient but grain free and raw diets were not (please hold the hate email, I am only sharing results of a survey here). Owners in the survey believed corn was not good for their pets but believed grain free was healthier. They were unsure about the health properties of raw diets. Both owners and veterinarians agreed that commercial diets have improved over the last 10 years. Veterinarians and their support staff have an integral role in combating overweight pets, yet fewer than 50% of pet owners were given food recommendations. Veterinarians confirmed this: only 50% surveyed said they provided dietary recommendations. Owners surveyed received approximately 50% of their dietary recommendations from veterinarians and 50% from Internet searches.
. 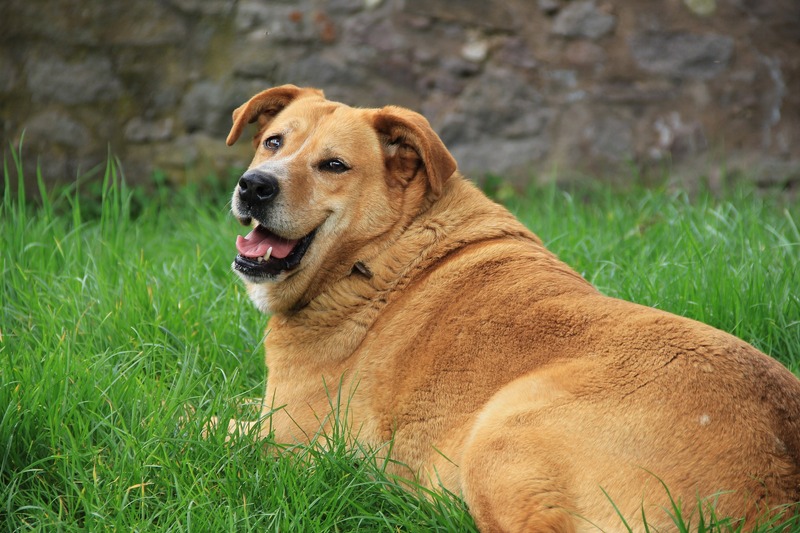 Learn how to assess if your pet is overweight with the help of your veterinarian. There is about a 60% chance that he or she is.
. Do not attempt weight loss or weight management without assistance from your veterinarian. The overall health of your pet contributes to his or her weight and there may be an underlying disease that requires medical treatment.
. Don’t listen to the hype. Many pet diets are promoted by brilliant marketing specialists, but that’s where their expertise stops. Your veterinarian will help you pick a diet that meets your pet’s specific needs, with the research and quality control to back it up.
. “Light” or “restricted calorie” diets are not appropriate for weight loss. I see that all the time in my patients. However, they are great to maintain the weight after weight loss.
. In my mind, all neutered or spayed cats and dogs should be on a “light” diet to prevent weight gain because their metabolism slows down after the surgery and makes them prone to being overweight.
. Many dedicated pet owner home cook for their pet. I get it. However, it is extremely difficult to create a balanced diet at home. There are countless nutrients, vitamins and minerals that are needed in small quantities. Serious pet food companies spend a fortune calculating the right amount of different ingredients to create balanced diets. Use them to your pet’s benefit.
. Most of our pets cannot survive on a vegan diet. It will severely harm them.
. Do not starve your pet for the sake of weight loss. Cutting the portion in half and experiencing a rapid weight loss can endanger your pet. And it can kill a cat. A slow, gradual, weight loss is very important and should be supervised by your veterinarian.
. Your vet can suggest creative ways to provide exercise despite your physical and spatial limits. Weight loss for your pet can be difficult to achieve, but it will be well worth it for the comfort and longevity of your pet. Incidentally, I wrote a book about weight loss… called “Walk a Hound, Lose a Pound” (How You & Your Dog Can Lose Weight, Stay Fit, and Have Fun), you can find it by following the link below. Bottom line: pet lovers have a huge responsibility in the health of their pet, which includes their weight. Please help your pet have a healthy weight.